Tibet is a unique place to discover and spend your holiday. It is situated at high altitude, and often known as the roof of the world. With various natural and cultural attractions, it has become a magnificent destination for travelers. Our Tibet tour from Kathmandu includes the city of temples in Kathmandu and beautiful destinations in Tibet. Lhasa, the ancient capital has ancient Monasteries, Chhortens and national museums. The tour to Tibet begins with sightseeing in Kathmandu. It includes UNESCO World Heritage Sites: Pashupatinath, Boudhanath, Swayambhunath and Durbar Square. Other heritage sites in the Kathmandu valley are the Patan Durbar Square, Bhaktapur Durbar Square and Changu Narayan temple. They are Hindu and Buddhists’ pilgrimage sites. 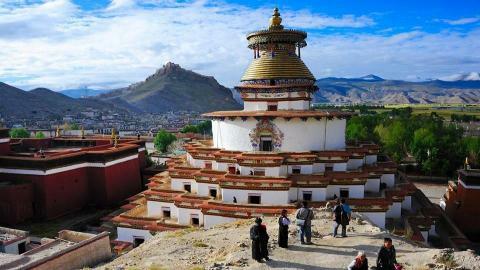 After Kathmandu sightseeing, the trip flies to Lhasa, capital of Tibet. 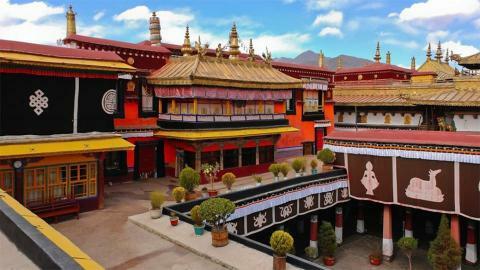 First the tour explores the ancient Monasteries and other Buddhist monuments in Lhasa before moving to Xigatse, Gyantse, Tsedang, Samye Tsedang and returning to Kathmandu. You will discover spiritual civilizations, temples and monasteries, sacred lakes and rivers, the astounding Tibetan landscape and experience a true adventure deep into an ancient land. For all Tibet tours please, contact Namaste Treks.